I was really excited to pick The Thing for my week, he's my favorite Marvel character by a long shot. 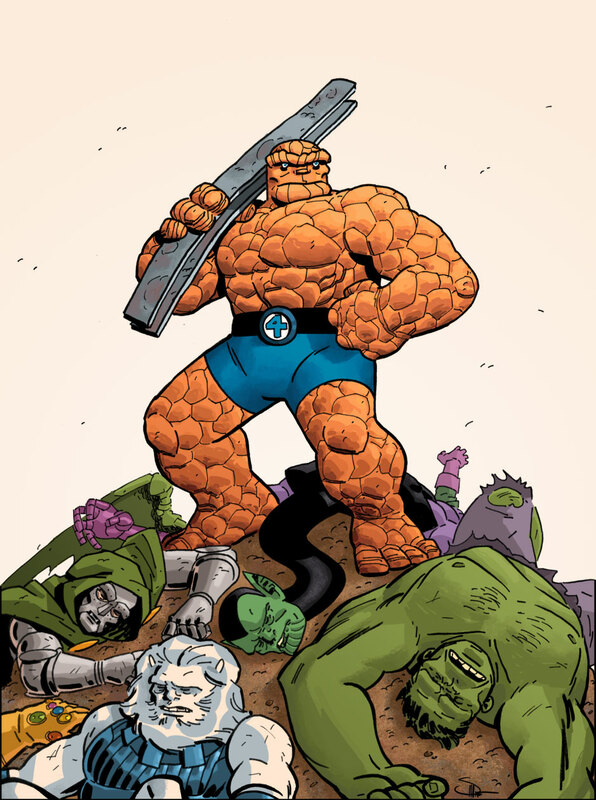 Ben Grimm represents a lot of what I like about Marvel and I'm really looking forward to see everybody's take on him. I went through 3 or 4 ideas before landing on this one, and this gave me a chance to draw some other guys that I've never tried. 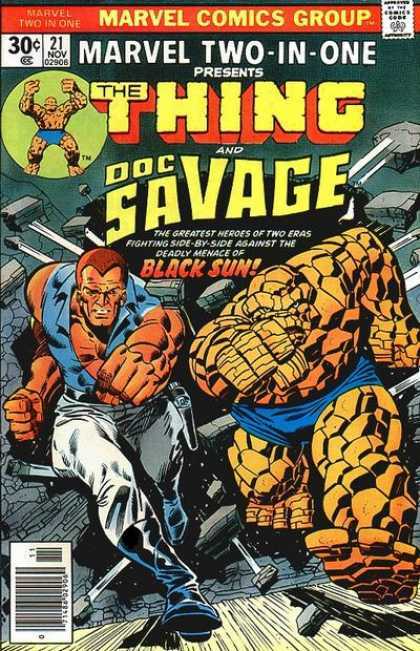 I'd really love to bring back the old Marvel Two-in-One. That's one of my favorite books because it's a place where this happens, or things like this make sense. Evan, this is fantastic! Great work, and a great pick for the week! Another genius idea! Well done! Very cool! I miss Marvel Two In One - it was nice that at that point in time Ben was the candidate for the other team-up book. Love this--it's a fresh breath of Silver Age goodness! Great piece and great pick this week!